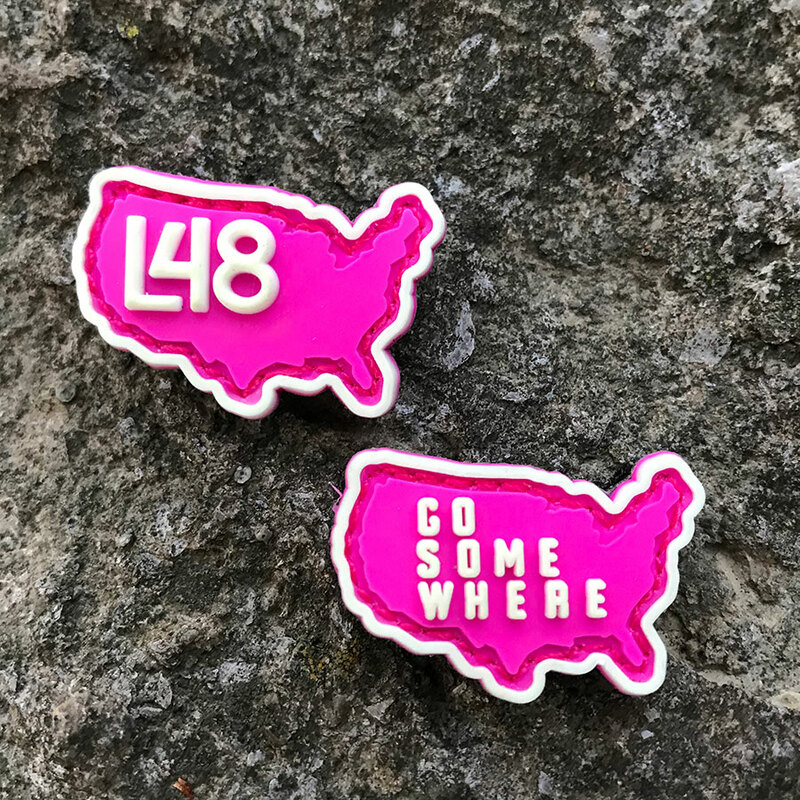 These ranger eye are 1.4″ x 0.8″ and come with an L48 states patch and a “Go Some Where” states patch. 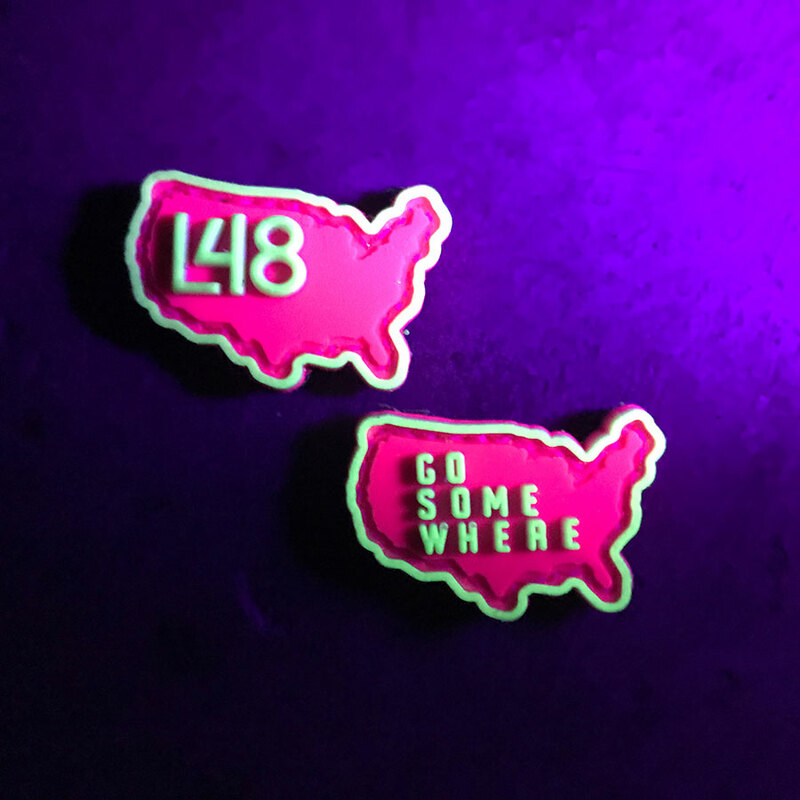 They are PVC, feature neon pink and glow in the dark pvc and come as a pair with hand numbered art cards. 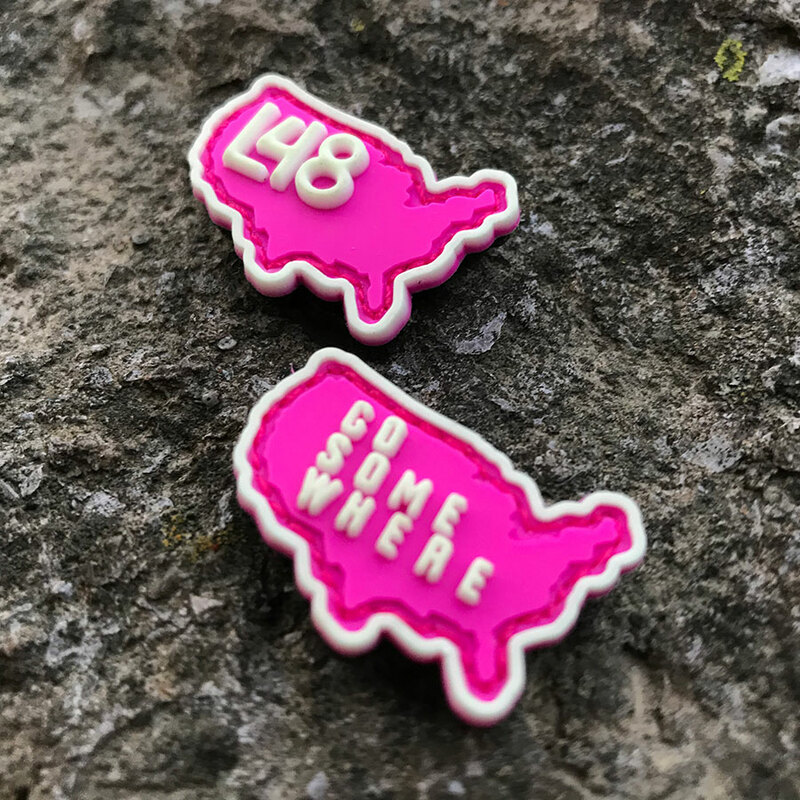 There are only 50 sets available, limit 2 sets per customer. 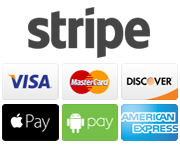 Size: 1.4″ x 0.8″ each. 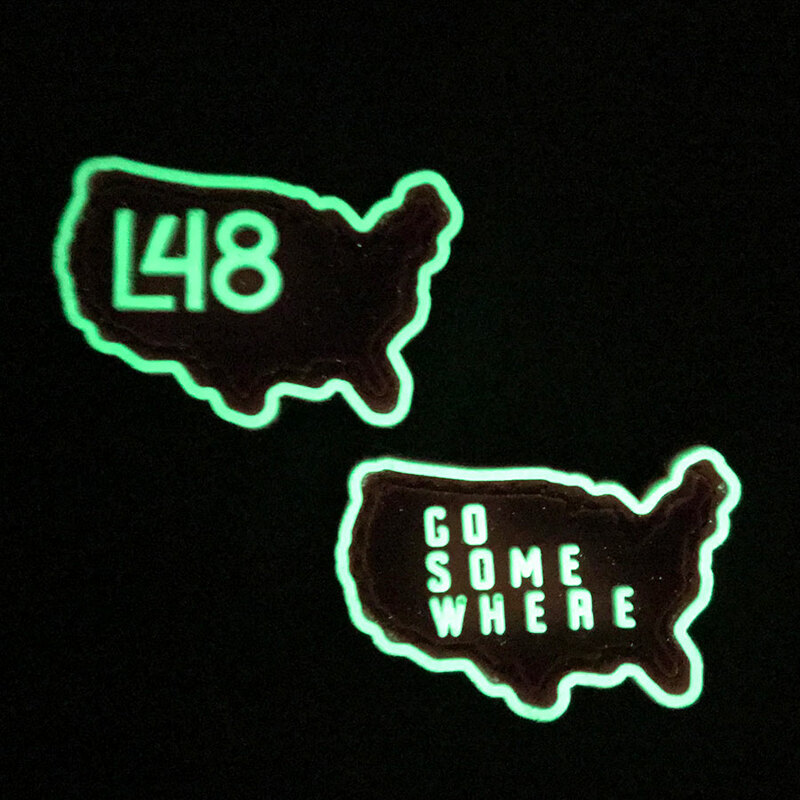 PVC with Neon Pink and Glow, Velcro Backed.